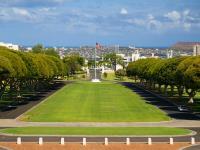 This is a great Pearl Harbor and Honolulu city tour for travelers on a budget. Upon arriving at Pearl Harbor, you’ll watch a short documentary showing footage of the 1941 attack on Pearl Harbor. 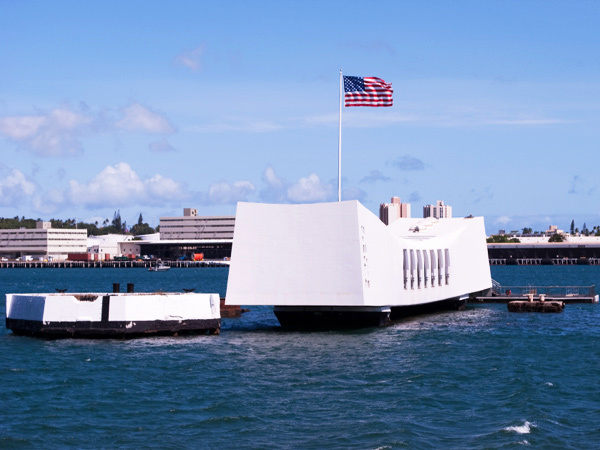 A Navy shuttle boat will then take you out to the Arizona Memorial, which was built right on top of the sunken battleship – the USS Arizona – the final resting place of the servicemen who perished aboard. After spending some time at the Pearl Harbor Visitors Center and the exhibit galleries, you’ll head to the rolling green hills of the Punchbowl National Cemetery of the Pacific. As somber as it is beautiful, it honors the sacrifices and achievements of the American Armed Forces and commemorates the soldiers of 20th century wars, including those who were killed during the Pearl Harbor attack. 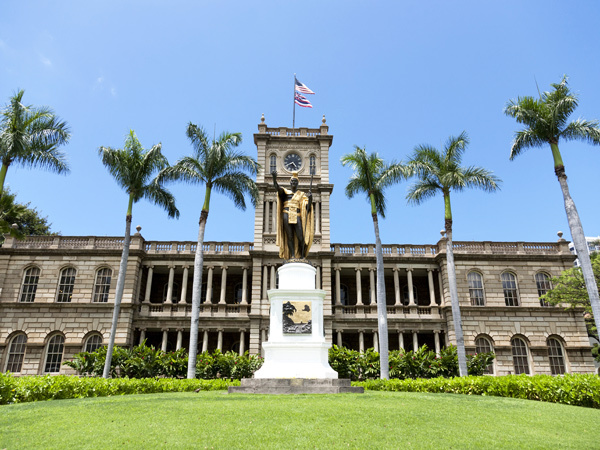 Later you’ll enjoy a tour of downtown Honolulu with more historical sights, including impressive Hawaii state buildings, as well as Kawaiahao Church and Iolani Palace, the only royal palace in the United States. 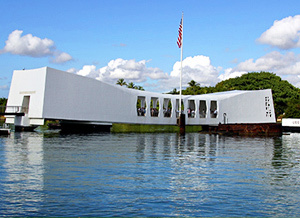 By the end of this great excursion, you'll feel part of Hawaiian and American history. 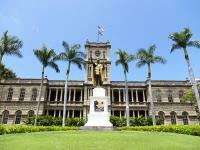 Iolani Palace - only royal palace in the U.S. Pick-up from major Waikiki hotels. Pick-up for Tour A starts at 6:00 am. Pick up for Tour B starts at 8:35 am. Shirt and shoes are required to board the Arizona Memorial. While tickets to Pearl Harbor are pre-reserved for the tour, the National Park Service requires the group to stand in line where Park Rangers will distribute the pre-reserved tickets directly to the guests. Due to this change, guests will not have time to store any bags that are unapproved by the National Park Service No Bag Policy in the lockers outside the entrance to the park. If guests have a non-approved bag with them at their pick up location they will be denied boarding with NO refund. Please go over the following National Park Service No Bag Policy. Non-approved bags CANNOT be kept on the bus either. National Park Service No Bag Policy: Visitors may not carry any concealing times. This includes purses, handbags, fannypacks, backpacks, diaper bags, etc. Small cameras are permitted but no camera bags. Allowable vital items may be placed in your pockets. Strollers are not allowed in the movie theater, on Navy shuttle boat to the USS Arizona Memorial, or on the USS Arizona Memorial. Arizona Memorial closed in late May 2018 due to needed structural repairs. If it is still closed by your activity date, there will not be a visit to the Arizona Memorial or viewing of the documentary. Infant pricing does not buy a seat. The child must sit on your lap at all times while en route. If you require a seat, please purchase a child ticket. Wheelchair Accessibility: Please book early to secure arrangements. A transfer vehicle equipped with a lift is available upon request with prior booking and notification of at least 48 hours, please indicate during booking. 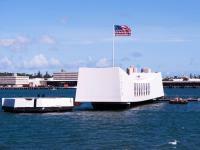 Operates daily, except Thanksgiving, Pearl Harbor Day (December 7), Christmas and New Year's Day.